Car accidents are inevitable with human error. However, the likelihood of an accident is significantly higher when the driver behind the wheel is under the influence of alcohol. Approximately one-fourth of all fatal car accident victims in Illinois in 2016 were alcohol-related. There were also 29,528 DUI arrests in the same year, as reported by the Secretary of State’s office. A drunk driver perceives the road differently than a sober driver, and sometimes defensive driving is not enough to protect yourself. Whether a person is operating a vehicle illegally depends on the concentration of the substance in their system. A person is considered under the influence of alcohol in Illinois if their Blood Alcohol Content is .08 or more. A person with a lower level of alcohol in their system can still be charged if their driving is affected by the substance. On the road, cyclists must abide by many of the same rules as drivers in Illinois. That being said, an accident with a bicycle should be handled similarly to that as an accident with another motor vehicle. According to the Centers for Disease Control, the majority of car accidents involving a bicycle happen in non-intersectional areas of the road in urban areas. Criminal charged may be filed if a motorists passes too close to a cyclist and the result is a crash. An accident with a bicyclist may be more intimidating than with another vehicle. People on bicycles have little protection on the road, even with a helmet. In Illinois, adult riders can choose whether to wear a helmet or not. 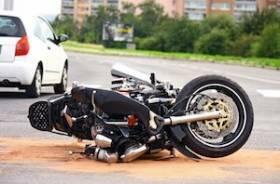 An accident with a vehicle can be deadly to a bicyclist, and any accident, no matter how small, can be jarring. It is important to stay calm and act promptly. Take a moment to react, but no matter what, do not drive away. According to the National Highway Traffic Safety Administration (NHTSA), an estimated 6,296,000 traffic crashes were reported to police. Out of those, 737,100 were estimated to have been hit-and-run accidents, or nearly 12 percent of all accidents. Hit-and-run accidents can leave you devastated and confused. Unforeseen medical bills and unplanned vehicle repairs can become costly very quickly. If you have been a victim of a hit-and-run car accident, your actions after the accident can be determinant of whether or not you receive the compensation you deserve. 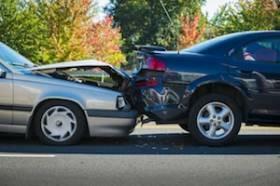 What Constitutes a Hit-and-Run Accident? If a person is involved in a car accident, they are required by law to stop and give information to others involved in that car accident. If they fail to do so, they can be guilty of a hit-and-run accident. If they cannot return to the scene of the crime, or nobody is around to collect their information, they must report the accident to the nearest police department and provide their information at that time. 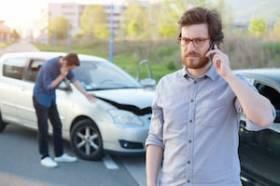 If a report is not made within 30 minutes of the accident, they may be guilty of a hit-and-run. Being in any car accident can leave you shaken up, but the actions you take directly after the accident can mean the difference between compensation and no compensation. Spring has finally reached the American Midwest, bringing with it the promise of new beginnings. Leaves are reemerging on trees, the grass is turning green once again, and animals are returning from their winter retreats. Of course, springtime also means seasonal changes in the weather, including increased rain and warming temperatures. The warming pattern, however, is often inconsistent and rapid changes in temperature and humidity levels can lead to the development of fog around area roadways. Fog, of course, can drastically reduce driver visibility and contributes to hundreds—if not thousands—of traffic accidents each year. The winter holiday season is fast approaching. This is a time when millions of Americans are expected to travel to various destinations. A significant portion of the population finds traveling by personal vehicle the most beneficial to their situation. In previous years, AAA estimated that 98.4 million drivers were on the road throughout the end of the year holidays, traveling over 50 miles each direction. The staggering number of vehicles on the road is not only impressive, but it also increases the likelihood of motor vehicle accidents due to negligent drivers. Pessimism, or a negative bias, has an impact on almost every aspect of your life, including your mood, relationships, and even your health. Now, science has added a new potential risk for those that see the world as a half empty glass: they may be more prone to experiencing motor vehicle accidents. In the study, researchers from the Chinese Academy of Science’s Institute of Psychology interviewed 38 drivers with at least three years of driving experience. Using the number of penalty points on their driving records, the participants were then split into two groups – 23 were considered “safe” drivers and 15 were considered “dangerous” drivers. Each year, around 2.5 million Americans suffer from a concussion. Around 50,000 die from their injuries while the remaining victims suffer from a variety of symptoms for weeks, months, years, or possibly even longer. Most of those symptoms include temporary issues, such as difficulty concentrating, personality changes, confusion, balance problems, and headaches. However, a recent study has linked concussions to potentially lifelong and life-altering complications. Over the past few years, researchers, doctors, and scientists have more closely examined concussions and their propensity for long-term complications. Links to a variety of lifelong and life-altering issues have been uncovered in a number of studies, including an increased risk of Alzheimer’s, Parkinson’s, dementia, suicide, and other psychiatric disturbances. Some of the evidence is said to be merely circumstantial at this point, but most healthcare professionals now maintain that a head injury is more sinister than previously thought.